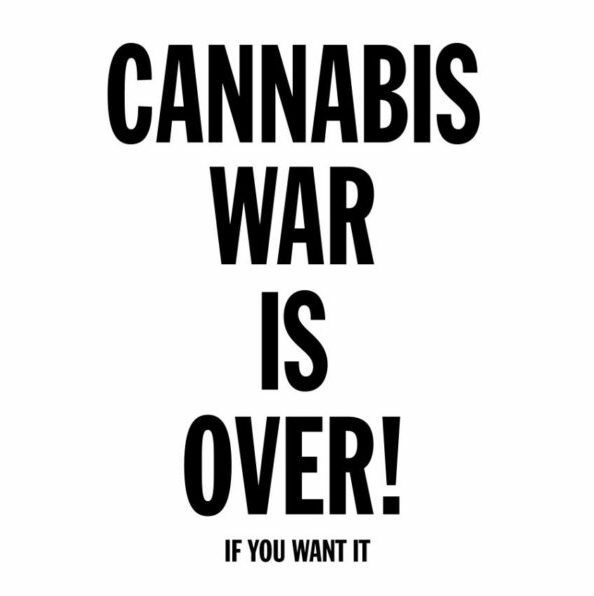 ENGLISH VERSION – CANNABIS WAR IS OVER! We, the undersigned people, are not going to keep the silence. We see how the natural resources are being squandered even though these are limited! Precious raw materials are being plundered for profit and the consequences are tackled only by few. We face great ecological challenges nowadays - at the same time solutions related to sustainability are at our fingertips. Cannabis as a plant accompanies man from time immemorial and contrary to many other industrial materials doesn't leave a significant ecological foot-print. Thanks to its universal, all-purpose characteristics, it is one of the most useful plants in the world. Cannabis is being presented as a "dangerous drug" even though this information is not true! This manipulation of the public is most tragically impacting the young, the ill and the handicapped. Great tragedies of whole families take place under the guise of the war against drugs, an activity most of the society has no idea about. How many people really know, how many cannabis patients face prison and how many of them are already imprisoned? We know that these people exist and we are not going to accept it. Five years after the implementation of the "Cannabis into pharmacies" law, not even thirty fellow citizens are now using this herb. Less than five kilograms has been distributed through pharmacies during that time, but the number of people in need is in reality at least thousand times higher. Whilst the legal cannabis is virtually unavailable for most of the citizens, the police seizes tonnes of the herb every year. The damage caused to the state budget is in the order of billion crowns. Thanks to the criminalization of cannabis cultivation and distribution, people are exposed to the black market with all the risks involved. At the same time, cannabis could be freely cultivated by everyone. The adolescents would not needlessly come into contact with far more dangerous substances. Furthermore patients rights would not be brutally trampled on. Those people, who have not yet resigned to the situation are facing the risk of spending many years in prison for helping themselves, or others. This state of affairs is quite clearly a violation of basic human rights unacceptable in a cultural society! It is also unacceptable for us that people cannot decide about their own lives and take care of their health! It is inadmissible that people are being criminalized for such decisions! and imprisoned and call for their immediate release from prison! market environment and fair competition! natural medicine and to break the censorship in the public service media! this planet. We are not going to remain silent. Marek Salamon, Martin Majináč Mišík. We value your trust and your personal information. We will not give or sell your information to any third party. If signing a petition, your information can be accessed by the petition's author only.